« Photography, Lightroom and Lobsters, oh my! 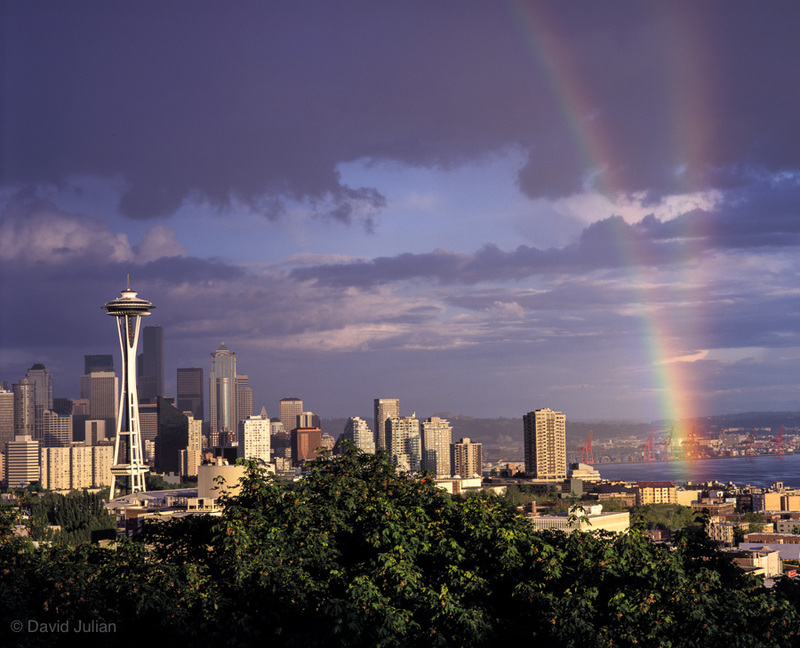 In June of 1992 I was just another photography enthusiast visiting Seattle for the first time. What I couldn’t know was that this trip would lead me to a fortuitous event. Having just logged my 10th year as an art director living in Brooklyn, I was feeling the urge to make a move and began my search for where to relocate. I flew to the Emerald City of Seattle, taxiing at midnight to couch crash in the funky-cool neighborhood of Fremont. Setting out early the next morning to photograph with my point & shoot and Pentax 67 medium format camera, I reached the corner coffee shop. A man biked past me wearing nothing… except body paint and a viking helmet. 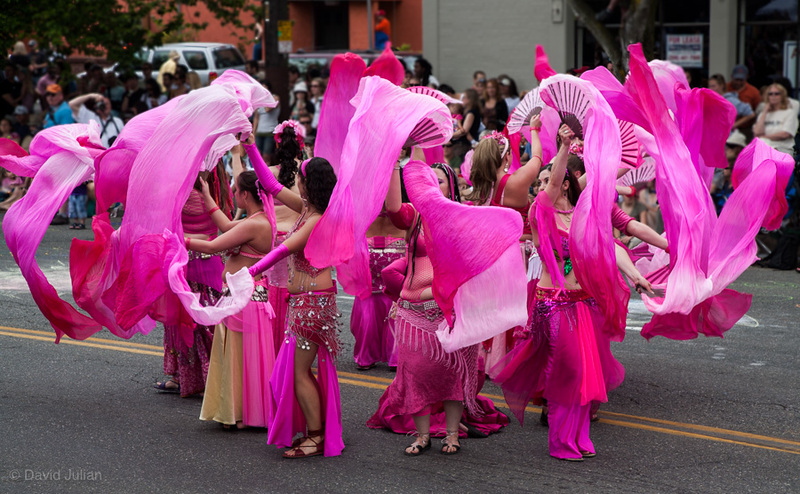 I had unknowingly stepped right into “The Center of The Universe”, and that I was about to be entertained by my very first Seattle Solstice Parade. Bussing into town after the parade, I was enchanted by Seattle’s spacious topographic beauty, and found myself riding the elevator up the Space Needle. I’d always loved the needle— modern yet retro all at once. Stepping out onto the observation deck, I was blown away viewing Elliott Bay’s orange dinosaur shipping cranes backed with the monsterously resplendent Mt. Rainier. Commuter float planes, the opposing horizons of the Olympic and Cascade Mountains, and the silent sailboats on Lake Union fueled my excitement. Though I had only seen a fraction of the region I knew instinctively that this was where I would next make my home. As I strolled around town, I was taken by the open friendliness and healthy glow of some residents I chatted with. One, a youthful seventy-two year old confessed baseball junkie, had just pitched her seventh win for her local Septuagenerian Softball League. As my jaw dropped picturing that, she gave me a few pointers on where to walk and sped off on her road bike. Hiking back from town through the stately maze of Queen Anne hill, I stopped at Kerry Park, renown for it’s classic postcard Seattle cityscape begging for it’s billionth portrait… mine. Waiting for better light, I set up my tripod, framed a shot and studied my map. It rained for a few minutes, and to my amazement, rainbows soon appeared. Excited, I filled the first roll of Fuji Provia 120. Early the next evening, I returned for a different view. Back in Brooklyn a week later, I processed my film and was further energized to return west again. Though I hadn’t the time to seek out the very best compositions and optimal light, I was happy that I’d brought my best gear and made the most of my three days. 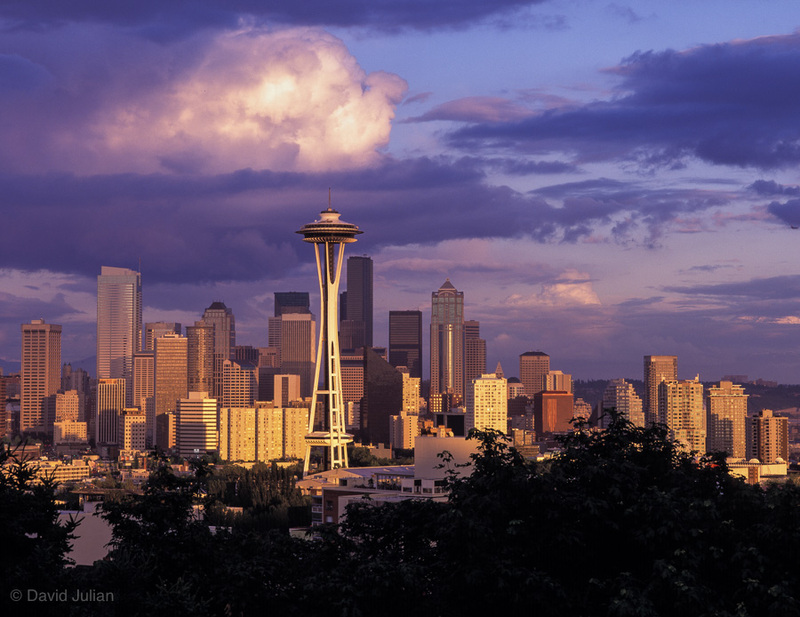 I chose the best four Kerry Park cityscapes and delivered a gift of 11×14 Cibachrome prints and a set of dupe transparencies to a leading stock agency I was dying to work with, The Image Bank. 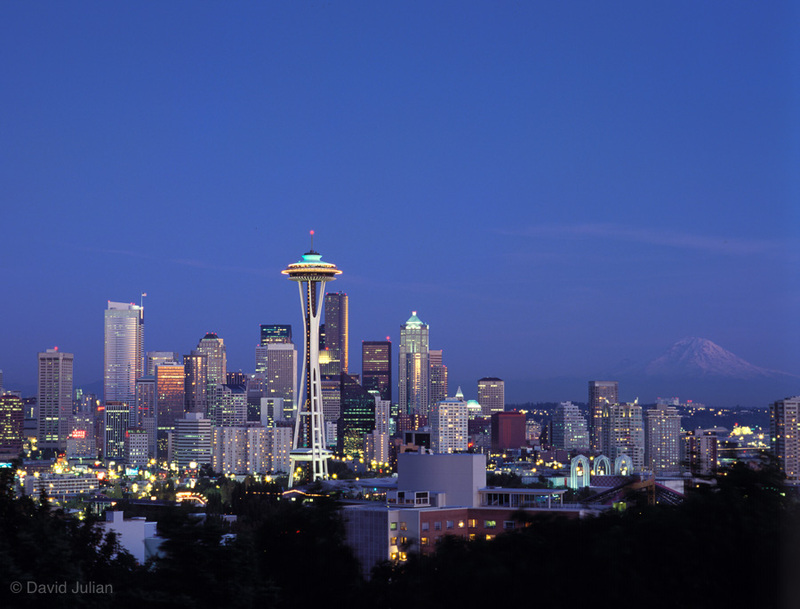 Seattle Skyline at Dusk. This is the shot the client licensed. She called for following month to say that a firm in L.A. had seen them, and would like to use one to back opening footage for a new TV series. “Are you… kidding?” I replied, knowing that many great Seattle photographers had images in their collection. “No”, she said, “They were going to send someone up there, but they love your shots. How soon can you come in, sign a contract and get this ball rolling?” I was out the door in twenty. That gift turned out to be a twist of fate, and the dominos began to fall slowly forward. A week later the image was licensed for the title opener in the upcoming pilot of “Frasier”. That was my first Seattle photo sale— my largest stock sale at the time — and the luck of it clinched my decision to move west. I also began to take my photography more seriously than ever before. It would no longer be just a toe-dip or a moonlighting sideline— I would move my photography into the forefront. 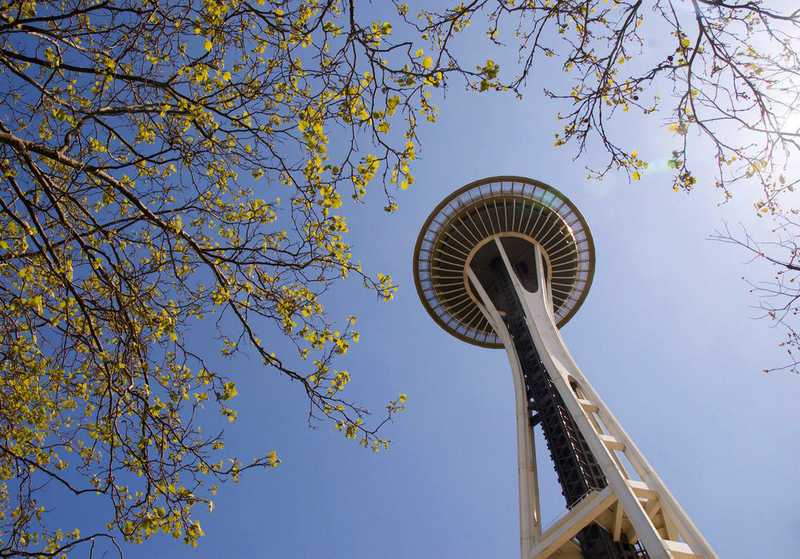 Since then I have made may other sales from Seattle-area landscapes and street shots, and work with much more precise gear. None really, except perhaps to follow your intuition, commit and invest in your passion, keep a good camera with you and share your work often. If you have a similar story of a twist of fate, I invite you to share it with me as inspiration for my students. Photo Tip: When shooting for stock or even casually, frame additional exposures with plenty of room for designers to use for cropping or title placements. Shoot horizontals and verticals. This adds certain value to your images by making them more flexible to use by a client. 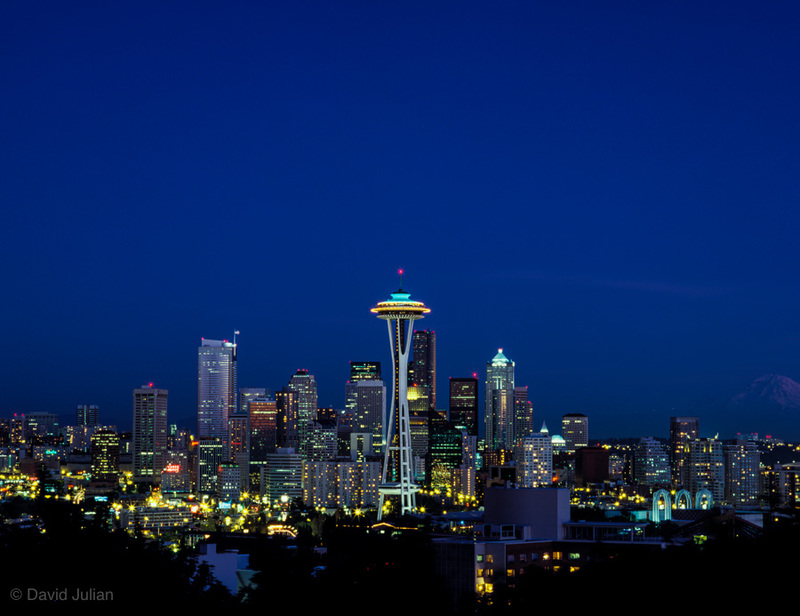 Seattle Skyline at night. The original is razor sharp. I lead workshops annually around Seattle, and will be co-leading a special trip to incredible The Palouse region of Eastern Washington next Spring. If you like new photographic adventures, visit my workshops page for opportunities and updates. Love the shot with the rainbows! Thank you! We get predictable rainbows, especially in Spring when the sun breaks through Spring rains. We deserve them after months of dim!